Each year in January, after the New Year is off and running fairly smoothly, I like to look back at the year before and commit to paper some thoughts about that particular stretch of time and the things that happened during those 365 increments that we call days, those that were significant and that make a lasting impression. Sorting memories is like sorting through a big jar of pennies…you hang on to the ones that are worth something and you cash in the ones that just take up space. The ones you keep are the ones you take out now and then, enjoy them, share them and store them safely away; the others just collect dust and tarnish with age. I take each one out, weigh it, judge it and decide if it falls in the former or the latter, noting that occasionally, time is kinder than we remember it and something that seemed unremarkable or troublesome at the time appears, in hindsight, to be better than it did in the beginning. Two Thousand and Ten, Twenty-Ten, 2010, however you choose to express it, was collectively not a good year for most of us as a whole and I keep telling people how glad I am that that year is over but when I stopped and looked back at it in detail, really thinking about the highs versus the lows, I have to realize that perhaps I was judging the book by its cover and not by its content. It was a year of both challenge and change, with peaks as well as valleys and maybe if I focus on the high points, the low ones won’t seem nearly as challenging so I will pour out my jar of collected pennies, each one representing something, and see where they take me. January started the new year off with a wedding of a good friend the very first day and just a couple of weeks later, my cousin became the first of my family generation to become a grandparent. I also bought a new car that month, the first brand new one I had bought in several years and that I’m happy with a year later. January is usually a depressing month for people because the holidays are over, the weather is often gloomy and the bills from December madness all come due and I’m sure all that happened in 2010 but looking back, I don’t really remember those things-it’s the good memories that stand out. That’s three nice wheat pennies I’ll put back in the “save” jar for January. February was an unremarkable month and the only memorable thing that happened was that somehow I contracted something called the shingles, which I thought was what you used to keep the rain out of your roof. Turns out its also some illness like the chicken pox and can be brought on by stress. I’ll stick with the shingles on my house and throw that penny back into the reject pile. March neither came in like a lion nor went out like a lamb, it just came and went but it brought with it the first breaths of spring, always early in the South, and the promise of warmer days, brighter sunshine and plenty more of it. I took my son to the International Auto Show in Atlanta and to the Varsity for a hotdog, upholding an annual tradition that dates back 21 years before he was born. My late aunt Cleo, quoting from her grandmother, used to say “I wouldn’t take a penny for him” and I certainly wouldn’t-nor all the tea in China either for that matter. April opened with my first stage performance since high school, a play about the Last Supper that we put on for our church. It was a challenge to overcome but with a satisfying end and I am glad that I took part in it. April is also the month of my birthday and though I don’t look forward to them the way I did when I was a kid, I am thankful to see each one that comes. My best friend died when he was 33 years old and he was one month younger than I was. That will change your whole perspective about birthdays so there are three more pennies to keep-one for the play and two 1966 pennies, one for me and the other for the memories of my friend. May is the month that I became a father, the best gift I have ever received and one I have been enjoying for almost seven years now. My son had a great birthday that he milked for a week but I got the best gift of all. I couldn’t have gotten a better son if I had been allowed to pick one out myself -God just knew and He provided and for that, I am thankful. If that wasn’t enough, I got to watch him graduate from Kindergarten, a once in a lifetime moment of parental pride. 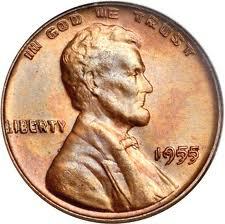 In World War II, due to the shortages of metal, only forty 1943 copper pennies were ever made and just 12 are known to still exist today. If memories were like pennies, I would have two of these rare ones to put in my savings jar. June and the hottest summer in years arrived on the scene but that didn’t stop me from sending about 500 newly minted college graduates out into the world. In my speech to the graduates, I reminded them that they all came from different backgrounds, different circumstances and varying obstacles that had to be overcome to get there but on that day, they all left on equal footing with the same chances and opportunities to reach for and take. A highly anticipated family wedding included a wonderful family reunion in Birmingham and a lot of great new memories. A new pastor arrived at my church, blown in on the winds of change but making us a better, stronger church because he brings out the good that’s inside of us and that helps God work through us all. For this month, I give 500 brand new 2010 pennies to the world and look forward to seeing them in circulation and making a difference in the world. In my savings jar, I place a rare 1955 double struck penny as the memory of two becoming one and for the pastor, I offer to God the rarer 1958 double die, for a true man of God is a rare find in this world today. July saw a good friend achieve the first step of her dream to reach higher so she could help others, and her win in the primaries put her in the home stretch to a finish line she would cross first a few months later. I was glad to be there to share in that victory for her and the people who elected her. On the down side, I lost a friend and co-worker that same month who went way before his time and his loss is still felt by all of us here. I’ll save one penny and throw the other back. August saw a groundbreaking at the local technical college whose board I serve on and a positive step forward in a bad economy. My son entered the first grade of school and already the world of reading was opening up to him while his skill in math grew daily. A family trip to Jekyll Island was a welcome getaway and we enjoyed the sun and sand of this beautiful island by the ocean as well as our time with each other there but from this height we encountered a very large valley in front of us when the matriarch of my family was called home to be with her Maker. My grandmother was a pillar throughout my life, possessing an indomitable spirit that empowered us all and her presence is missed in our daily lives. For that month, I keep three pennies for the jar and I reluctantly, sadly, give up an old, worn, 1916 penny that has touched many lives in its long circulation. September brought little with, nothing gained, nothing lost but it did provide a pause, a moment of rest, to gather my strength for the final hurtle of 2010. October came in and fall finally arrived, late to the party as always but very welcome. It’s my favorite time of the year and brings with it the annual auto club drive to the mountains of North Carolina and the Blue Ridge Parkway, an event I look forward to every year. Right afterwards, an overnight trip to Lexington, Kentucky took me to the wedding of two close family friends, the highlight of my month and the final chapter of a very long book for them. A new one was begun in a vineyard with the sun setting in the sky and friends all around. The first chapters are now being written in what promises to be a very long read. The very next day, I decided to do something for myself and I began a diet that I have been putting off for years. It has not been easy, on me or on my loved ones but I feel better in many ways than I have in a very long time. I will keep a penny for the mountains, two brand new 2010 pennies for my friends and I will throw back 33 old ones in hopes I will never see them again and will add some more to the pile with them in the months ahead. November brings the start of the holiday season and a time to remember all that I am thankful for receiving, knowing full well that I am not deserving of it. A rare opportunity came our way this month when we were asked to be a part of a product video, all because I had answered a survey about the car I had bought in January and they liked a lot of the comments I made about it. We found our home invaded by a friendly but efficient movie crew, our house rearranged and mundane events like walking the puppy to be star power material-but after a long, yet interesting day, we learned why Hollywood is not all that it is cut out to be. When it was done though, everything was back in place and they left everything like it was before they got here. Hopefully the video will be out soon and it will be one of the high points of 2011 and not a bad penny. Of course, the highlight of the month was Thanksgiving with the big extended family, always a happy time and this year was no exception, even if I could only eat a little of the banquet they prepared. A last weekend trip to the mountains of northern Georgia and the little town of Hiawassee was a weekend of fun, family and spectacular scenery, a wonderful time that we all enjoyed in a place that is like my second home town. Three more pennies in the savings jar for this one. December, the last month of the year, is also the busiest for most people and it was no exception for me and the family. My wife celebrated a birthday, complete with a cake and trick candles and our wedding anniversary came just a few weeks later, both high points of celebration and memories to hang on to. A week before Christmas, we found ourselves enjoying the sights and sounds of New York City, the busiest city in the country at the busiest time of the year and it was one high point after another. Christmas Day itself brought a visit from Santa Claus and a lot of family members to share it, definitely a treasure box of wonderful memories for all of us. The year began with a wedding and ended with the 40th birthday of my brother, a New Year’s Eve baby and wonderful evening of spending time talking about many of these memories and those of our family members. It was a great way to end the old year and usher in the new one and for all the wonderful things that the month of December brought, a big handful of pennies for the memory jar are in order. When I look back over this string of months, thinking about the year before, I realize it was really not a bad year at all. It was a stressful year in many ways because worry and uncertainty have become such a normal thing for so many of us these days that it tends to cloud our vision and distract us from the wonderful moments that life offers to each of us. The good thing about memories is that they last and clouds dissipate and what is left is what we remember. My penny jar is full again and I will put that year away until I need it again. Another good one with lots of tears and laughs.